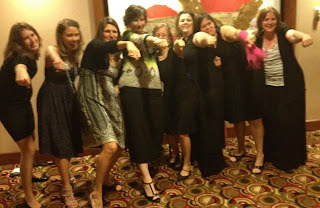 On Friday night of the ACFW conference, a gaggle of Alley Cats met in one room. Our greetings quickly slid past formality into down home humor. This lasted way into the next morning. Most of us had never seen each other before, yet we had a common link which fueled the conversation and roaring laughter, The Writers Alley. Mary's definition of Down Home Humor: the exchange of a short statement which calls to mind something previously experienced by both parties. The event itself may have had something embarrassing happen, or reference an unusual custom, etc. The greatest fun with down home humor is having others present who do not know about the previous experience. The joke is then enhanced by the puzzled look on the outsider's face as they witness the insiders guffaw over a few cryptic words between breaths. Ah hah, you have a memory of this, don't you? You're picturing two people laughing so hard they can't breathe, yet they fuel the laughter with a single word here or there, or they see someone looking at them weird, maybe it was you, and burst into a new level of laughing. Wouldn't it be fun to include down home humor in your work? I'd wager it would be one of the most memorable scenes. This week I read a book loaded with fantastic examples of down home humor. AND Tina will be giving one copy of Oklahoma Reunion away today! 1. Set up the scenerio: The set up should take many chapters. It gives the reader a chance to belong in the setting, become familiar with the characters and feel at home with them and their story. 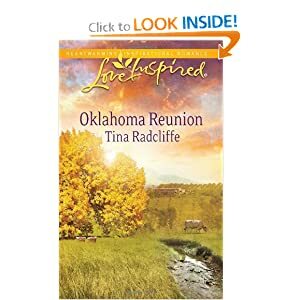 In Tina Radcliffe's book, Oklahoma Reunion, Kait returns to her rural hometown to put her parent's house on the market. Her intent is to cut all ties and return with her daughter to city life out east. During her visit, Kait has several encounters with Ryan, her high school sweetheart. Ryan offers his services to help fix up her parent's house. One day, he brings pizza and ice cream. 2. Don't spill the beans: Crucial point. RUE. Tina expertly holds back explanations allowing the reader to walk with the characters. Ryan goes home after the meal, no hints of anything unusual. Typical get-to-know you event. "Besides, I had to get out of the house. My oldest daughter and her husband are staying here for a few days. Her boys are making me crazy. Why, last night we got a call they were at Miller's Dairy Farm. In the middle of the night, mind you....Someone convinced them to go cow tipping." "They're city kids. They believe anything." 4. Speed up the avalanche: Hold back nothing at this point. This is the time to show the humor. Since the readers have walked with the characters, they will understand without any explanation.Kait has been living in the city for eight years. She has become a city girl. This is what Tina used to propel the avalanche into down home humor. When Kait opened the freezer, Molly exclaimed, "Braum's! see you're getting reacclimatized to Oklahoma the right way." "What did I tell you? He's courting. A man doesn't bring Braum's butter pecan unless he's courting." Kait laughed. "You're kidding, aren't you?" "Not hardly. Next thing you know it'll be Mazzio's Pizza." Kait choked on another laugh. She pointed to the empty pizza box on the far counter. "Good night, that's a man after my own heart. What a charmer. Moves straight from Braum's to Mazzio's in one day. Watch out, Kaitey-girl. Next thing you know it'll be Goldie's. He'll be proposing over burgers and homemade pickles." Yah got to buy this book to see what happens to Ryan and Kait. It's a great story. The key to down home humor is building a firm foundation of material. These are not jokes. Down home humor must be nurtured in the beginning of the book, built up in the middle, and spilled out in the last third. Like watching a balloon expand as air is blown inside...at what point will it...P O P? With the Writers Alley we have our own loop where we share prayer requests, chat about our own lives, our writing . . . for hours sometimes. Sympathizing, laughing, and chewing on issues through text. 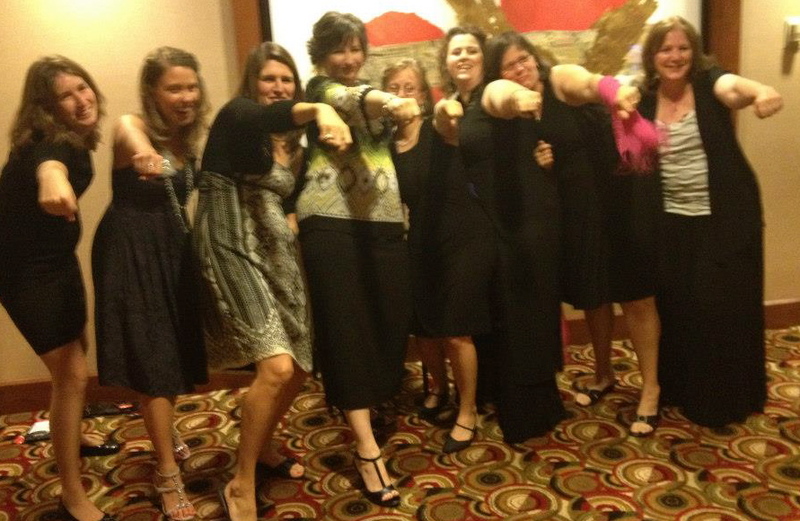 Two years of material came together in the hotel room at the ACFW conference this year. Talk about a firm foundation of material! Betcha can't guess the meaning behind the photo. That's okay, we're laughing. 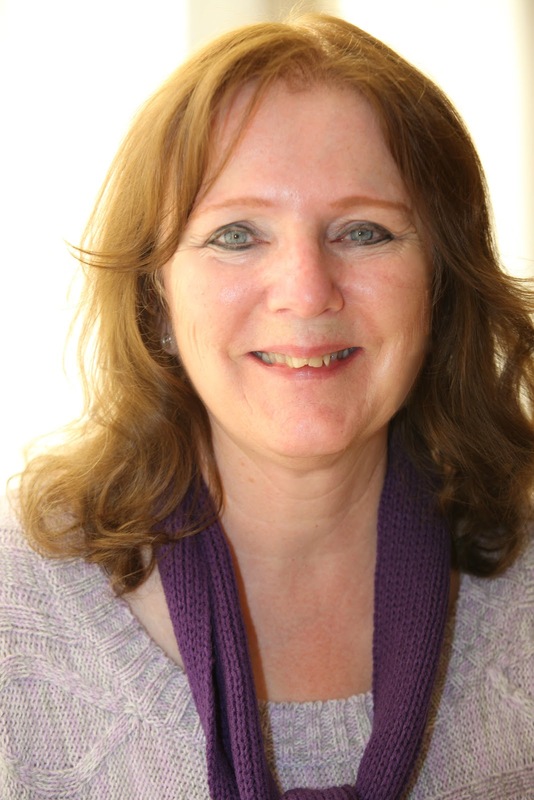 Tina Radcliffe set up chapters of background material which she later played with and used in the down home humor sections. I found at least four, only mentioned one above. Your turn. Tis the season to share some down home humor. You can reference a book, tell something from your family, or friends. We may or may not understand it as outsiders, but we will definitely laugh with you. Tina will be giving a copy of her book Oklahoma Reunion to one person who comments today. Winner will be chosen by a third party. USA residents only. Please include your email address. Mary Vee you sweet thang you! Thanks for the lovely post. Mary is my elevator buddy. We save each other from evil lurking in elevators. No, I don't mean Pepper. LOL. So sorry I missed Sherrinda at conference!! But I saw Ashley of the gorgeous dresses and Angie Dicken and of course CASEY!!! What a great post, Mary! And Tina, great use of down home humor. I love that type of insider humor. To draw a reader into that inner circle is the perfect way to hook her in the story! I went to Tulsa with Tina and she's not kidding about Mazzio's and Braums. DELICIOUS. We went to Goldie's too. She showed us her old hometown. Down Home Humor--hmmmm tricky when everything is fictionalized. Although I once stranded a woman in a high up cave at a Mesa Verde like cliff dwelling. LOL! I LOVE this, Mary. And lookie who has stopped in to our Alley. Oh yes...everyone..Tina saved me!! We went into the elevator with a bunch of people, all but one and the two of us got off at the second floor. Tina grabbed my arm and said, here's our floor and pulled me out. Well, in hindsight, the dude still in the elevator was....shall we say definitely not with the ACFW conference. THANK YOU TINA. Thanks for joining us today. Soooooo loved Oklahoma Reunion. Absolutely. Now that I've seen this in action, I plan to weave in my own down home humor. Mary C is talking about when Down Home humor become homicidal? Seriously? These are real places? I thought she created them for the story. Guess I know where to visit when I go to Oklahoma. I'm not sure the left to die part was down home humor. But...as I have learned from Tina's book, anything good be up for grabs when crafted the right way. Look at the Three Stooges, Charlie Chapman, etc. To simply tell the one scene would not be funny. Back it up and give foundation...and we laugh. Shor nuff. We need translators for the Appalachians. Not sure if the true meaning can be conveyed, though. They keep laughing while I stand there puzzled. It has absolutely nothing to do with the moonshine. I love the Alley Cats. And now ... I want to read this book. As a matter of fact, I'm ordering the book now. If I win it, I'll give it away to a friend! And I KNOW that picture! It's clearly a working relationship, LOL! I love that book... and I love inside jokes. I used one in the book I just finished. Our farm was embroiled in a huge (I mean the Associated Press called me to tell me they were watching the story huge) controversy because our roosters crowed. And the roosters bring them together. Vindication for the rooster, right? Author-style!!! I was in Tulsa with Tina and Mary. And Vince and Linda and Carol Moncado and Andrea Strong.... oh, so much fun! I'm the one who actually informed the press about the threat to Ruthy's rooster. All I could think was, DISTRAUGHT NEIGHBORS COMPLAINING ABOUT NOISY EARLY MORNING CROWING...WE CAN USE THIS TO SELL BOOKS!!!!! You know what? I just realized I dont' even remember the pizza or the ice cream. I was too busy talking. Mary, I loved this post! I love how you mapped out how to layer down home humor into a story. I'm definitely taking notes. I LOVED this book! Tina, you're truly a gifted writer, and an encourager. :) Loved meeting you (and Mary!) at ACFW. If I win this book, I'm giving it to a friend to read. :) Thanks for sharing today, ladies! I love family reunions, we just can't seem to have them anymore, the family has grown so much and is so spread out. Leave the page for a few minutes and a burst of fun happens! Wow. Beth, Your secret is out. We'll send up a prayer when the pirate flag appears. Ruth, Oh the fun of the rooster story. Amazing what sends a simple thing viral. Better than a good ol' church gossip time. I can't wait to read your next book. I haven't heard your accent, but if Pepper is saying you have one than I think its one of those pots calling the kettle black thang goin' on. I wonder if Braum's ice cream delivers to Michigan. Jeanne, good to see you here. I knew you'd like this post because you said you'd read the book. That gave you the super inside to this down home humor. Maybe you could have a partial family gathering. Anything to get some healthy down home laughter going. Great stuff here! Braum's ice cream and pizza, now that's what I'm talking about. Yum!! Sorry I can't stay, but I just destroyed my website. Glad you stopped in for some fun before tackling the website problem. Hope it can be fixed quickly. Mary C and Ruth and I had fried pickles at Goldies with Margaret Daley, Carla Stewart and Vicki McDonough when we were in T town. YUM!!!! To sit in the dentist office with children's appointments AND have internet access! And Missy's accent is lovely. Love chickens better. deep fried. Love the Seekers, but not deep fried! I think the loudest farm noise I know (besides my Dad) is the sound of mama cows during calving season. I've always been around roosters, chickens, and howling dogs...but when we moved to a house in the middle of 2 cattle farms? THAT was a new experience. Got used to it, but I had NO idea they could be so loud. MARY, I LOVE Tina's humor AND her books, so this was a fun read!! Tina has one of the driest sense of humors around, and we love her to pieces in Seekerville!! SO FUN to see the pic of the Alley Cats ... you guys need to have someone take more pics of you next year -- I'll volunteer!! Loved this book!!! As a former Tulsa resident and also a native Texan, it was so fun to come upon the references to favorite places like Braum's! My absolute favorite Braum's ice cream, BTW, is chocolate mojito! Last time we tried to pick some up, though, we couldn't find any. Unfortunately, that flavor was one of Braum's best kept secrets. Fried pickles? That is a delicacy I've never tasted, Tina. All right, Myra talks about a Braum's chocolate mojito flavor...what is that? Julie, we Alley Cats would love you to be our photographer..IF you join us in one of the pics!! Living in between two cattle farms could produce some interesting music. Paul Simon use to just listen to sounds in nature and city to get his ideas for music. There you go, the next song to compose. The Cow's Duet Serenade. Great idea to add insider humor to our stories, Mary V! Thanks for touting Tina and her wonderful book at Writers Alley! Inside humor is great fun! I have a longtime friend--I'm talking high school and college days--and one word can shoot us back to a scenario that cracked us up then and now. Not sure maturity has set in with the wrinkles. LOL Somehow funny stuff just happens to us. GREAT post, Mary! You all made my conference this year!! Haven't laughed that hard in years!! What great examples too! I don't think I laughed that much since I was in the goofy teen stage where laughter didn't need any reason at all. We simply must have a repeat performance. The beauty of conference is getting to meet so many Alley Cats and Seeker friends. Yeah. Me too. The comments and Tina's quotes made the post. I'm putting a "like" by Tina's comment. DEfinitely the highlight of my conference this year was being with my ALLEYCATS and snuggling up (or tackling) my Sensational Seekers! Thank you to all who came today and made this down home party fun. We'll announce the winner of Tina's book on the Weekend Edition. THANK YOU, Mary for the invitation.